The city of New Westminster hadn’t seen a first-run movie theatre since 1985 when Columbia Cinemas closed its doors. 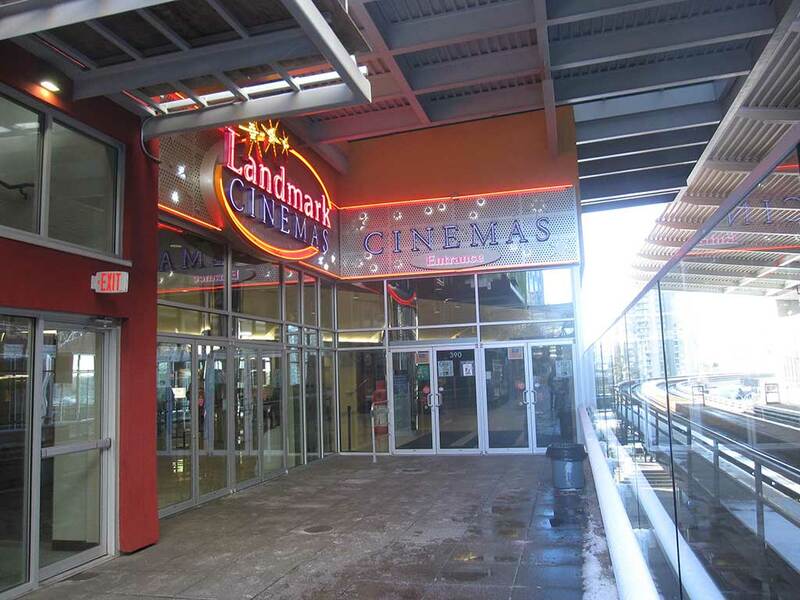 As part of the Plaza 88 complex (now called Shops at New West) built around the New Westminster SkyTrain station, Landmark Cinemas opened in May 2012. The theatre is clean, well-kept, and has comfortable seating. (Although, as of the time this was written, the theatre is only 2.5 years old.) 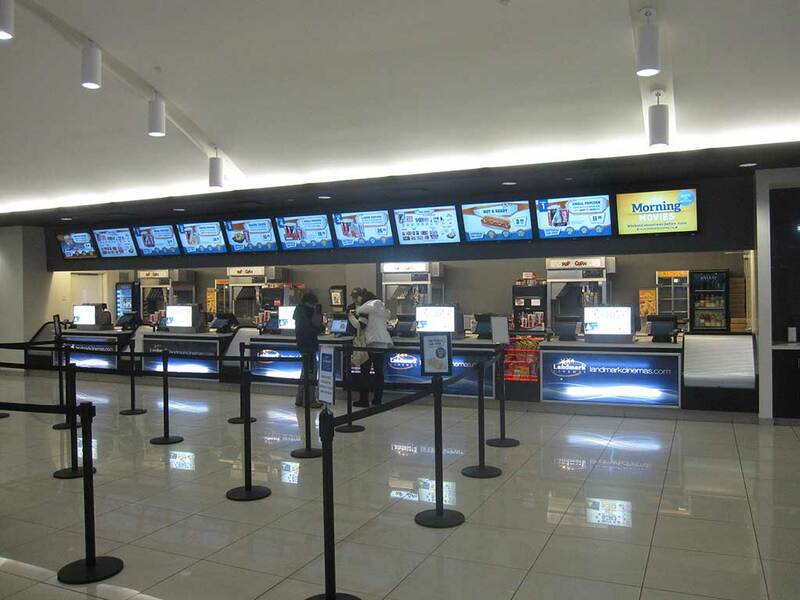 You can buy tickets online, at the concession, or at a row of machines at the entrance. You get to choose specific seats at no extra cost. This is nice as you don’t have to go extra early and hang around to claim your seat. 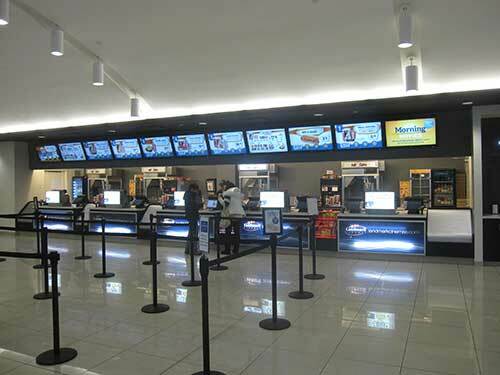 Landmark Cinemas in New Westminster has 10 screens. It is a quieter, convenient alternative to SilverCity Metropolis at Metrotown (in Burnaby). Regular general admission is $11.25, and matinees are $9. 3D movies are more expensive. 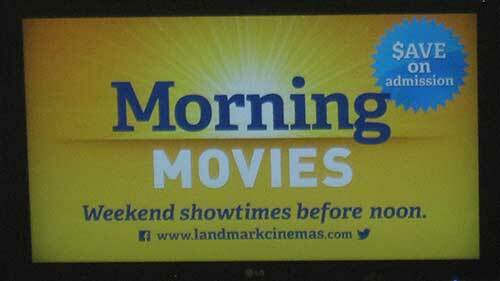 On Saturdays and Sundays, there are morning movie showtimes for only $6.25, which is a cheap way to enjoy a little weekend luxury! This entry is filed under Vancouver / BC / Canada and written by Peter Keung. You can follow any responses to this entry through the RSS 2.0 feed. You can skip to the end and leave a response. Pinging is currently not allowed.